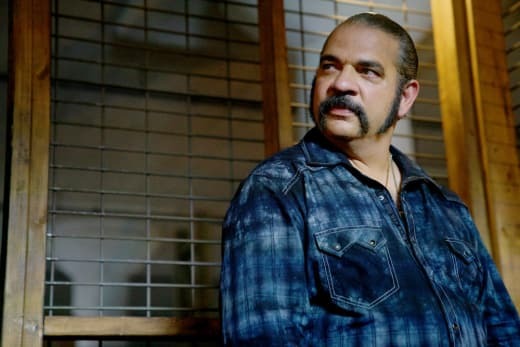 There is no business without a product to sell, and with El Santo in the wind, Teresa was left scrambling for a new supplier on Queen of the South Season 3 Episode 12. She ended up playing her own version of Let's Make a Deal starting with Camila as her first contestant. Do you think Camila requested that specific red dress or did James pick it out for her? Personally, I think the low cut front made her look trashy and even more desperate. Camila always falls back on her power color, red, but Teresa does not need costumes. She owns her power without them. Any deal with Camila Vargas would be tentative at best. Camila did her best to play both Pote and James against Teresa and then she worked on Teresa, telling her how special she always thought she was. It sounded good unless you remembered how many times she's referred to Teresa as nothing more than a stray dog she mistakenly took in off the street. There's no love lost between these two women. They might need one another for the moment to survive, but there will never be any loyalty or trust in this relationship. That being said, I expected their deal to last longer than one episode. I suppose in some ways it did. Camila vouched for Teresa with Reynaldo but only if Camila remained unharmed. Teresa made that same deal with Cortez when she turned Camila over to him, but will he honor that agreement? Cortez could certainly torture Camila mentally and emotionally, especially if he uses Isabela. No one said he couldn't harm her. Cortez certainly doesn't want to risk losing Reynaldo's Colombian supply of cocaine, but he also has the man's niece in his back pocket. If that pans out, he could forgo the terms of this deal without consequence to his supply chain. So how many ways can Cortez evade death? Now he's survived a poisoning on top of an attempted stabbing, being set on fire and other schemes to provide his demise too numerous to mention. Has the man made a deal with the devil? Even the Vargas house staff could see the black spot where his soul should be. Camila Vargas. She was a generous woman and kind to the people who worked in this house. She treated us like family, unlike you. You are weak, looking for empty adoration. Your cruelty shows your true self. It isn’t a wound that festers inside you, it is your soul. 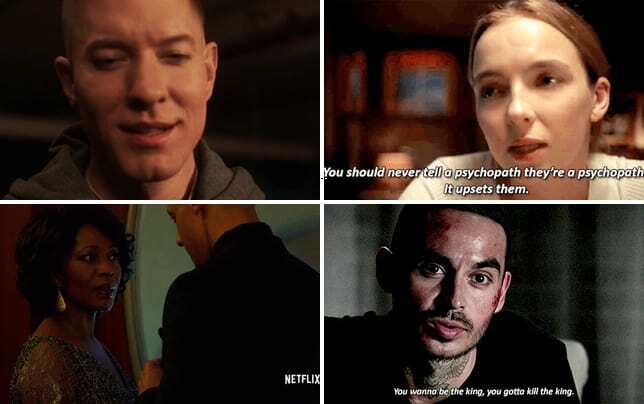 When James couldn't find King George in that mental institution, I feared that Camila had already broken her word, but that wasn't the case. Cortez was thinking two steps ahead and had moved the man. Did Bilal survive his gunshot wound? We have to assume that James got him help but he never mentioned the man's fate. I assume Bilal's well being will be one of King George's first questions. Thankfully, George appeared to have all of his faculties intact when he was turned over to Teresa. Cortez didn't seem to realize the consequences of the deal he just made. Teresa needed King George to acquire his weapon supply to destroy Cortez, something I'm sure George will revel in helping accomplish. And Cortez was hopefully so thrilled to get Camila back under his thumb that he won't think to check her for tracking devices. For the first time, I fear for Camila and Isabela. General Cortez is an evil, brutal man. It wouldn't surprise me if he used and abused Isabela to exact his revenge on Camila. I also can't help but wonder what Isabela's game plan is here. I think she wants the power of the governor's position or the cartel for herself and she'll attempt to use Cortez and her mother to get it. I just don't know if Isabela is smart enough to pull that off. I don't think she realizes the devil she's toying with in Cortez. Finally, we get to James. I couldn't blame James for feeling like he should walk away. Not only does Teresa have his loyalty and trust, but she also has a part of his heart. Knowing he may have none of the above with her has got to hurt. Thankfully, Pote made Teresa see that if she didn't want to lose James, she had to speak up and say the words. I have to believe that James will eventually agree to stay and that these two will reconcile because they are stronger together. And as Pote pointed out in this Queen of the South quote, Teresa fights for what she wants. You are a survivor, Teresita. You never stop fighting. Don’t stop now. Permalink: You are a survivor, Teresita. You never stop fighting. Don’t stop know. I'm thrilled that King George is back in the fold and can't wait to see him ready to exact his revenge against Cortez. Will the General finally be taken down? And if so, who will be the one to put the stake in the man's heart? Check back next week for my review of Queen of the South Season 3 Episode 13, the season finale! And if you can't wait for more, you can watch Queen of the South online here at TV Fanatic.